Inspector General of Police Joseph Boinnet and Immigration Director Gordon Kihalangwa have been tasked with the deportation of a Nigerian man who has been in the country illegally for six years. 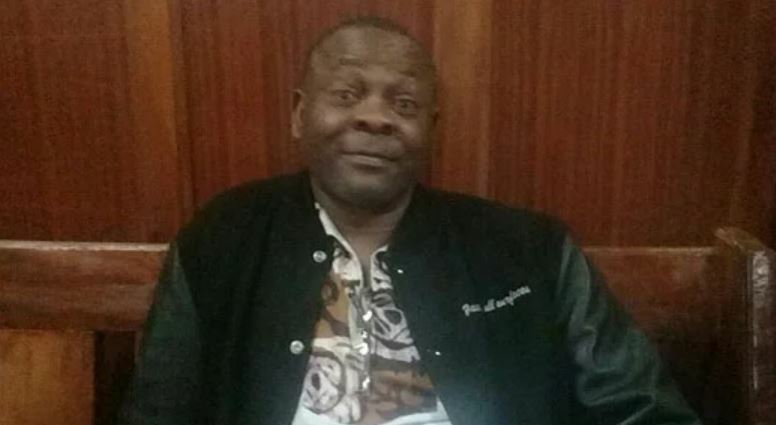 A Nairobi Court this week ordered the two officials to immediately deport Okeke Patrick Godwin Chukwudu, 56, who has been preying on Nairobi women to survive in the city. Chief Magistrate Francis Andayi ordered Boinnet to liaise with Kihalangwa to ensure a flight destined to his home country is secured in order to deport him Wednesday evening. Okeke was found on April 9 along Limuru Road within Nairobi without a valid pass or permit allowing him to be present in the country. He was charged with being in Kenya unlawfully and pleaded guilty to the charge. In his mitigation, he alleged that his Nigerian passport had been confiscated by his “Kenyan wife” following a domestic row. He told the magistrate that he reported that matter with his embassy in order to help him regularize his stay in the country. Okeke was, however, unable to provide any evidence to the trial magistrate who asked him to indicate why he had stayed in the country since 2010 without a valid document. The court also questioned the sincerity of his assertion that his passport was forcefully taken away by his alleged Kenya wife. Senior prosecuting counsel Solomon Naulikha told the Court that Okeke is a high flight risk and opposed for his release on bond. He noted the man was arrested with a vehicle belonging to a Ms Valentine Arigi who reported its disappearance. “He has no business or residence in Kenya but preys on women whom he conned and moves on to another Kenyan,” added the prosecution. The man, who hails from Igbo State in Nigeria, was also found with a copy of a Nigerian passport number A02044924. Outside the court, he told Nation that his Kenyan wife orchestrated a plot to ensure he is deported from the country. “I bought the vehicle in 2015 from Judy Maneka and my wife set me up with police and I will make sure she will not use my vehicle,” added Mr Okeke.